One area of kitchen renovation that is commonly overlooked is the countertop. You are probably aware that granite is considered top of the line for countertop material, but there are many other options available. Granite – We have discussed granite in a previous article, but here are the highlights: granite is beautiful, durable, heat resistant, and damage resistant. It is also expensive, but granite countertops add value to your home and pretty much pay for themselves in resale value. Ceramic Tile – Ceramic tile countertops are relatively inexpensive and easy to alter if you remodel. Tiles are heat resistant, durable and very easy to clean, though the grout between tiles can become stained. One major drawback is the uneven surface makes some kitchen tasks difficult. Wood (Butcher Block) – Just as hardwood floors add beauty to a home, so do wood countertops. Wood is smooth, easy to clean, and easily refinished and resealed. Wood countertops are vulnerable to water damage and staining, and scratches must be dealt with quickly before more damage can occur. Stainless Steel – Steel is very durable, heat resistant, sanitary, and easy to clean. Drawbacks include: very high cost, may dent, noisy (metal pans on metal surface), cannot be used as cutting board. The look of stainless steel is either completely positive or negative, depending on your kitchen décor. Soapstone – Soapstone is beautiful, durable, and rather unique (which gives you a one of a kind look). It does require regular maintenance with mineral oil, and is vulnerable to cracking over time if not properly installed and maintained. Laminate – Laminates are inexpensive, durable, easy to clean and maintain, and available in a wide range of colors and patterns. 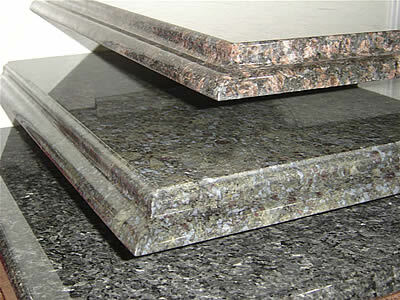 The biggest disadvantage is that laminate countertops are found in most homes (makes you one with the crowd). These are just some of the materials that can be used for your new kitchen countertops. If you consider your needs, desires, and budget then choosing the right countertop should be a quick and easy task. Your perfect new countertop will look great in your new Nags Head oceanfront home! Outer Banks Custom Kitchens is your place for kitchen and bathroom remodeling on the Outer Banks. Call us to discuss your new countertops and kitchen remodeling. With 50 years of experience on the beach, Outer Banks Custom Kitchens can give you the kitchen of your dreams.